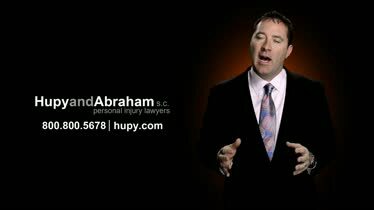 Dog Bite Injury Law Firm in WI, IL & IA | Hupy and Abraham, S.C.
A dog bite injury can cause a great deal of physical pain, emotional trauma, and financial hardship. If you or your child have been hurt by a dog, there are steps that you can take to protect your rights. 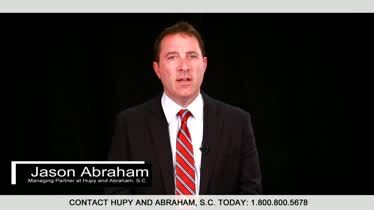 Since 1969, the lawyers of Hupy and Abraham, S.C. have been helping injured people make fair legal recoveries. So far, we have secured more than $1 billion on behalf of our clients. For our dog bite injury clients, a financial recovery may mean compensation for past and future medical bills, lost income, out-of-pocket costs, physical pain, emotional suffering, and other damages. Our experienced lawyers provide each and every client with personal attention from the first time they call us until their case has been resolved. Contact us today for a free, no-obligation consultation and to learn how we can help you. This will help stop the bleeding, prevent infection, and ease your pain. 2. Identify the dog’s owner. If possible, write down the dog owner’s name and contact information. 3. Write down the names of witnesses and nearby homes or businesses. Witnesses may have seen what happened and nearby buildings may have surveillance cameras that captured the incident. This evidence could be important in your dog bite case. 4. Report the dog bite to the local government. In Milwaukee, for example, this would be the Department of Neighborhood Services during regular business hours and the Milwaukee Police Department after normal business hours. 5. 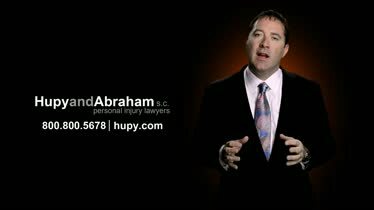 Contact an experienced dog bite lawyer. Our attorneys have more than 200 years of combined legal experience and represent people injured in dog bite incidents throughout Wisconsin, Illinois, and Iowa. Hundreds of people have reviewed our dog bite lawyers on our website, Google, and other websites. Learn what our dog bite clients have to say about us here. A dog bite can happen on any street, in any town, in any state. Our experienced dog bite lawyers are available to help you if you’ve been hurt anywhere in Wisconsin, Illinois, or Iowa. We have offices located throughout the three states including Milwaukee, Appleton, Green Bay, Madison, and Wausau, Wisconsin; in Bloomington, Gurnee, and Rockford, Illinois; and in Cedar Rapids, Des Moines, and the Quad Cities, Iowa. If you can’t come to one of our offices, then our attorneys will come to your home or hospital room to meet with you. Our personal injury lawyers have secured more than $1 billion in recoveries for the more than 70,000 clients whom we have represented. Learn about the results we’ve achieved on behalf of dog bite injury victims in Wisconsin, Illinois, and Iowa. Take the first step in your dog bite recovery by contacting attorneys who will go above and beyond the call of duty for you. We would be pleased to meet with you, free of charge, in any of our 11 offices located throughout Wisconsin, Illinois, and Iowa or at a place that is convenient for you. Call, text, start an online chat, or fill out our online contact form today to learn more.